Over the weekend I went and watched Dawn of the Planet of the Apes. While it was a good movie, one which I enjoyed very much, something bothered me the entire time that I was watching it. In case you didn’t guess by the title, we know that at the end of the movie the apes will clash with the humans and ultimately win the day. The apes will win at the end of the film. Spoilers? The very title gives the ending away. It’s not called Planet of the Kangaroos. Sadly. Now, the film is not worse for it. When you know that forgone conclusion already you can focus on the journey that Caesar makes, trying to keep peace and maintain order in his ranks while distrusting the humans and protecting his family. It is a great journey and his story is very interesting, which is why I still enjoyed the film, but knowing how the film is going to conclude makes it harder to be surprised by anything that happened. 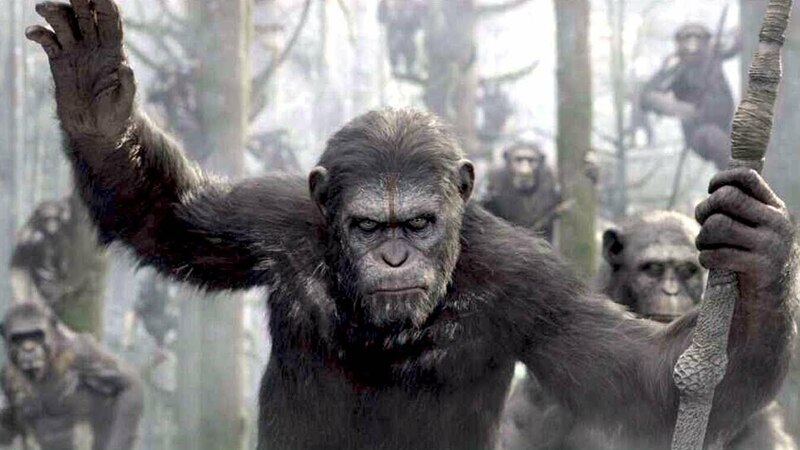 I kept on hoping that the apes and the humans would start to integrate and form a new society where they lived in harmony, because that would be different than what one would expect from a film called Dawn of the Planet of the Apes, but of course that didn’t happen. That would be new and surprising, and who wants that? This is the problem with many films, but specifically prequels and reboots. By having pre-ordained things that must happen or are heavily expected to happen, it becomes nearly impossible to surprise your audience. I mean, it would also be easier to surprise your audience, but apparently studios are afraid to do that. I remember watching the most recent Star Trek film, where Kirk and Khan have to work together, and I was enjoying the different route that they were taking the character. I was thinking “Hey, new timeline, so they’re changing things around, making characters behave differently in different situations, this is cool.” But then, of course, they had Khan double cross Kirk and turn diabolically evil. Just like he was before. It was especially annoying because they didn’t have to do that. Especially because he had good reasons for behaving the way that he was, as the Federation was holding his crew hostage. How great would it have been if Khan exposed this and set the Federation back on the right course? 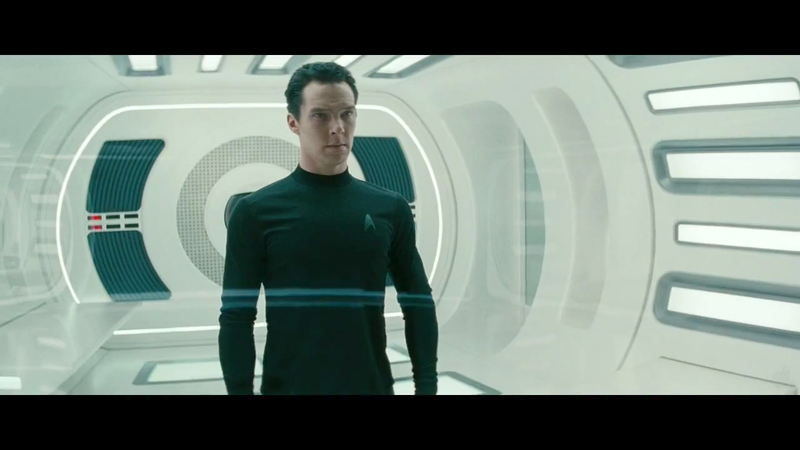 It was a new timeline, they could have made Khan behave however they wanted! I mean, they changed him into a tall scheming Brit as opposed to a misogynistic plastic-chested Indian, so why not have him be a good guy? I mean, it couldn’t have made that film any worse. I mean, really, that film is just so bad, and a lot of it is because it’s a terrible imitation of Wrath of Khan. They weren’t even trying to make him look similar. Then we have your reboots. Your Robocops, Clashes of the Titans, Totalses Recalli, and the like. 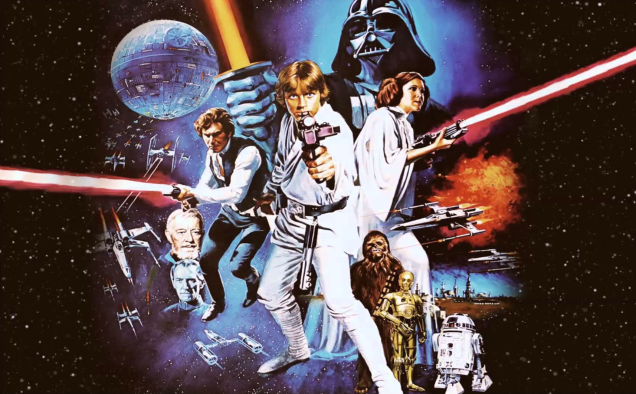 The original films were fantastic and have stayed popular with people for decades. But of course, a set amount of time has passed, so it’s time to try and go back to that well for some more money! But it’s hard to get excited about these films because they are completely unnecessary. We have the originals, we love the originals, why would we even bother seeing a crappy re-imagining of something we love? It’s one of the reasons that I’m upset that the new Ghostbusters film is going to be a reboot rather than a sequel. I’m pumped that it’s an all-female cast, but I don’t want to see some pale imitation of the Ecto-1, of Slimer, of the Stay-Puft Marshmallow Man. You can’t improve on those! Keep them canon and continue the story! YOU CAN’T MAKE THIS BETTER. Additionally, reboots and prequels have the problems of having giant spoilers already out in the world in the form of films already made. We know that Anakin is going to turn into Darth Vader and all the jedi are going to die. We know that Murphy is going to struggle with being a part robot, part human cyborg and that the evil corporation will betray him. We know that Perseus is going to use the Medusa head to freeze the kraken. Spoilers everywhere, thanks to films already in the world! Does this mean that the new movies can’t tell a compelling story? Absolutely not. Dawn of the Planet of the Apes told a very compelling, human/ape story, even though we ultimately know what’s going to happen at the end. But it’s a hard challenge to overcome, and most films have failed spectacularly so far. Am I saying that film studios should stop rebooting and reimagining stories and film franchises? No, not completely. I mean, the 1939 Wizard of Oz was a remake, and it turned out great! But for the most part, film studios should just stick to ripping off other properties, as has been their proud tradition since their inception. Rip off Robocop, by all means, change just enough so that it feels new! Imitation is the sincerest form of flattery, after all. Shake off the chains of being a reboot! If it wasn’t for ripping off other ideas, we wouldn’t have Indiana Jones, Star Wars, or Deadpool (coming soon!)! It’s a proud tradition, let’s get back to our roots, Hollywood. Not completely 100% original, believe it or not. Just a note: I do not condone intellectual theft. But you get what I’m saying, right? It’s stifling, everything being a reboot or prequel. Almost nothing is original these days anyways, so why limit what these films can be? Get crazy, studios! You know, Ricardo Montalban always swore that was his real chest, even though he was like 70 when Wrath of Khan got made. I’m usually against remakes because I’m against cheap cash grabs that aren’t real movies but rather vehicles for studios and stars to make lots of money and cram in tons of product placement. If someone has a creative, artistic vision for revisiting a classic IP, then I’m all for it. They’re just so rare. A perfect example is Dreed, which is just face-meltingly cool. That’s right: Dreed, a reboot of the classic underground comic Joodge Dreed. The thing is, remaking a terrible movie is perfectly OK in my book. The Stallone Judge Dredd had some camp value, but little beyond that. And it was a completely different story than the Judge Dredd movie. Really, I view Dredd more as a different adaptation of the comic as opposed to a remake. And yes, if someone has a different artistic vision, something unique and exciting, then sure, go ahead and revisit that IP! But we don’t need a rehash of Red Dawn, it just makes no sense. That is why I love “Michael Clayton” so much. When I saw that movie for the first time, the writing was so good I thought it was derived from a book. Nope. Original Screenplay. Great originality in an age when we don’t have that. Michael Clayton is such an awesome goddamn movie. I completely agree, if we had more original screenplays like that, the world would be a better place. I also feel like that movie got made because George Clooney wanted to make it. We’re so lucky that an A-list actor who used to make shlock like Batman and Robin now has the clout to make wonderful socially-conscious films. I actually haven’t seen that one, I’ll have to check it out! Always a fan of Clooney, dude is Old Hollywood cool, and that writer/director has a heck of a resumé. We can’t “overhype” that movie. It’ll deliver. Watch it as soon as you can, dood, it will not disappoint.